Shopping. Sipping. Spa Services. Could you ask for a better Sunday Funday?! 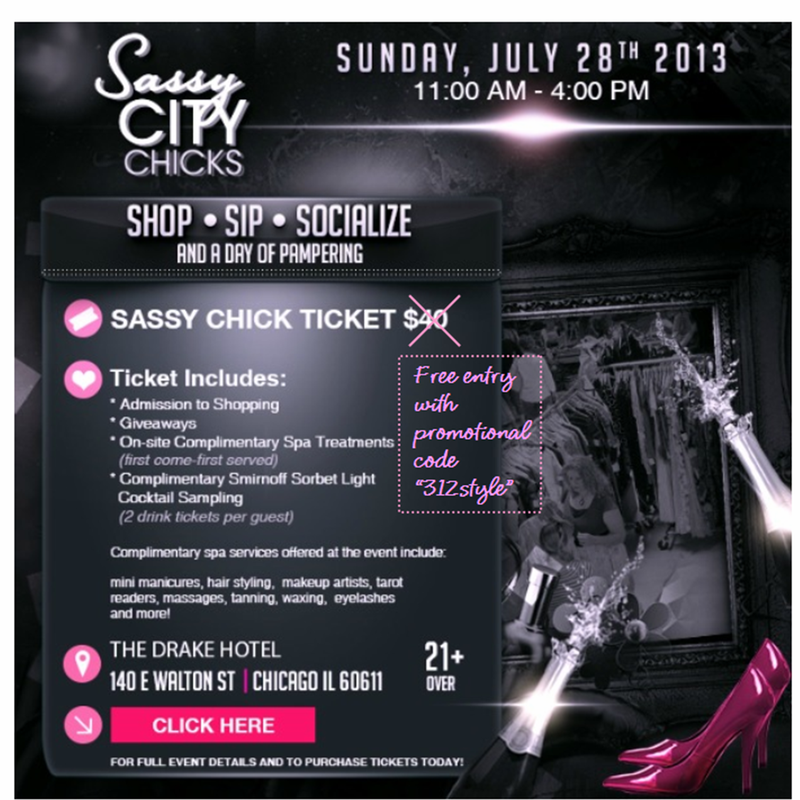 Well, if you're thinking "Totally awesome, but if I had complimentary entrance..." you're in luck because Sassy City Chicks is giving you a FREEstyle opportunity just by being a fan of 312style! Just click over to SassyCityChicks2013.Eventbrite.com and enter the promotional code "312style" (it's right above the Paypal image) for complimentary tickets to this Sunday's Shopping Event at the Drake. And since Sassy City Chicks wants you to have the full Girl's Day Out experience you can share this code with all your friends and family! And if you are unable to attend be sure to check out my tweets (@312style) and Instagram (@312style) for live coverage of this must-attend summer event.